China kicked off its 2017 campaign with the successful launch of the second Tongxin Jishu Shiyan Weixing (TJSW) spacecraft from the Xichang Satellite Launch Center. Launch took place at 15:18 UTC on Thursday using the Long March-3B/G2 ‘Chang Zheng-3B/G2’ (Y39) launch vehicle from the LC2 launch complex. This launch was set to be the final mission of 2016, which would have seen China become the dominate launch nation of the year. However, based on a tiebreaker rule, USA won the title with the same amount of launches in the 12 month period. As with the previous launch of Communications Engineering Test Satellite -1 ‘TJSW-1’, there is isn’t much information regarding the satellite. Back then, Japan’s Kyodo News reported that China was building a missile defense system to detect a ballistic missile attack. The report was based on Chinese military documents that referred the development of an experimental early warning satellite program. Eventually, TJSW-1 was orbited in a geostationary orbit and no other information was revealed. Later it was known that the satellite had successfully deployed China’s first large aperture reflector antenna in orbit. The same secrecy surrounds the launch of TJSW-2. 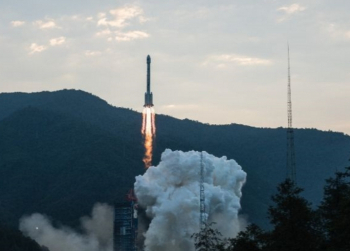 Observers noted that a new launch was ‘added’ to the Chinese schedule with rumors of a new geostationary launch out of Xichang in late December. 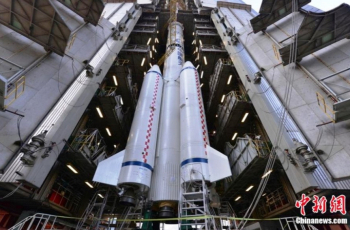 The lack of information and the nature of the launch preparations, with only marginal references to the payload, point to the secretive nature of the satellite. 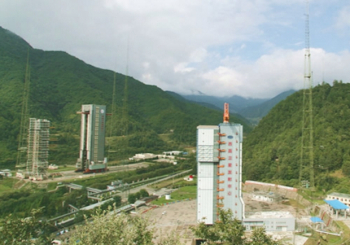 To meet the demand of international satellite launch market, especially for high power and heavy communications satellites, the development of Long March-3B (Chang Zheng-3B) launch vehicle was started in 1986 on the basis of the fight proven technology of Long March launch vehicles, mainly from the Chang Zheng-3A. 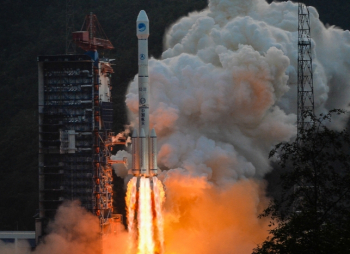 The CZ-3B can also use the new Yuanzheng-1 (“Expedition-1″) upper stage that uses a small thrust 6.5 kN engine burning UDMH/N2O4 with the specific impulse at 3,092 m/s. The upper stage is able to conduct two burns, having a 6.5 hour lifetime and is capable of achieving a variety of orbits. This upper stage was not used on this launch.